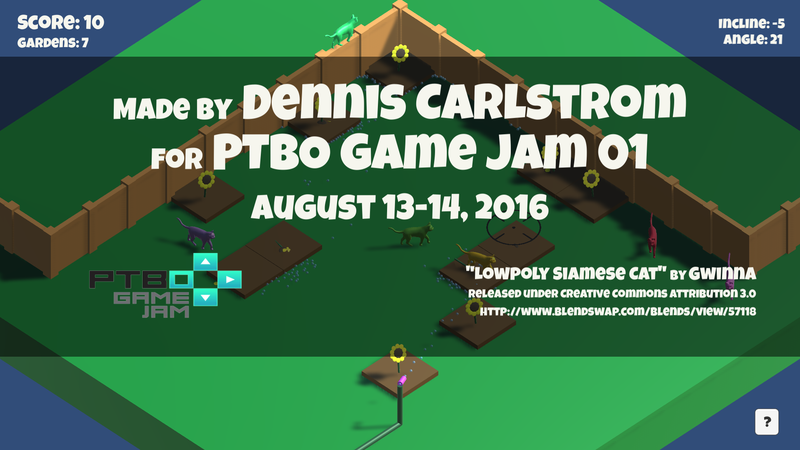 Made by Dennis Carlstrom for PTBO Game Jam 01, August 13-14, 2016. This game was made as a prototype in 30 hours during the 2-day, live game jam event in Peterborough, Ontario, Canada. It also received a small amount of polish and bug fixes in the 5 days following the event. 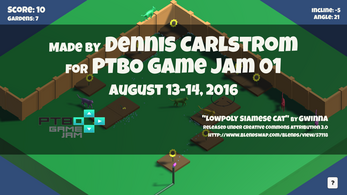 The theme for PTBO Game Jam 01 was "Cats On Leashes". 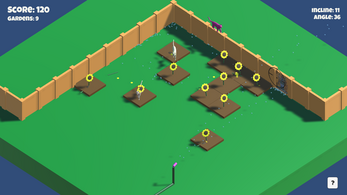 This game depicts an alternate universe where cats are not on leashes. The ramifications are truly terrifying as you can witness by playing the game. Defend your flower gardens by operating a state-of-the-art, mechanized, cat-deterring, high-velocity sprinkler system. Spray water on the cats to score points and annoy them. Cats will leave the garden if you keep annoying them. The game ends once all your flowers are destroyed by cats. 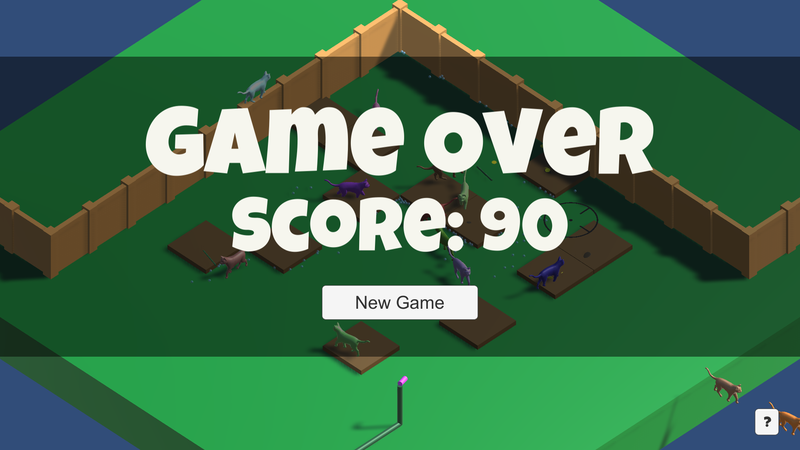 Your final score will then be displayed. Use the mouse to aim the sprinkler system. Press the left mouse button to spray high-velocity water towards the cats.